The solution is simple to disable Window Shadows in Windows 10! 1.) ... Disable / Enable Windows shadows in Windows-10! 2.) ... Windows without the drop shadows! See also: ► ... mouse Pointer and Cursor size! 1.) Disable / Enable Windows shadows in Windows-10! 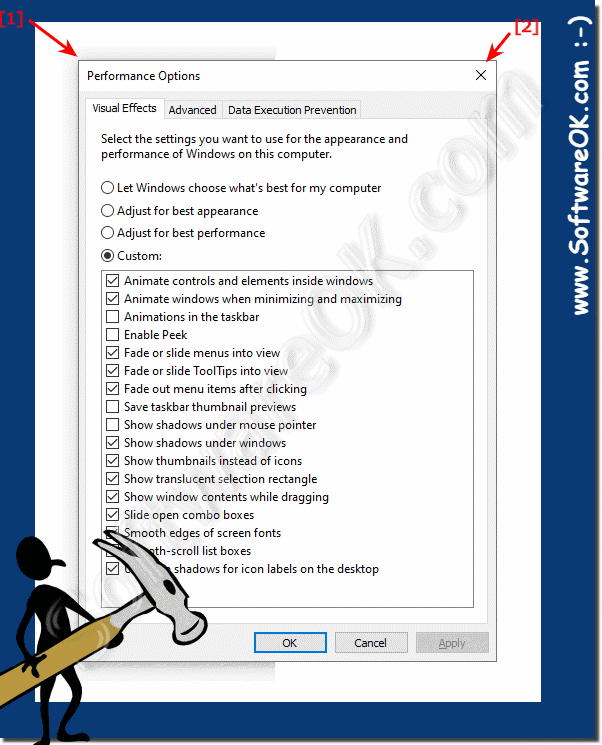 (Image-1) Disable Windows Shadows in Windows 10! Select the settings you want to use for the appearance and performance of Windows-10 on this computer. 2.) Windows without the drop shadows! See also: Change Windows 10 Screen Saver, enable or disable! (Image-2) Notepad without the drop shadows!